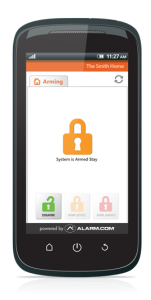 Residential Security that fits your life! Schmidt Security Pro provides state-of-the-art, wireless, home security solutions that enable you to always know what is happening at home. With alert notifications and interactive security functions such as video monitoring, thermostat adjustment and customized light control, you will have confidence that the people and things you love will stay safe. 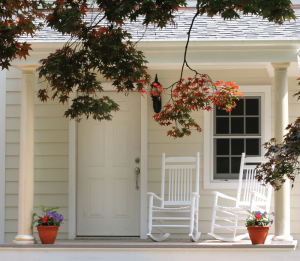 Dedicated Wireless Connectivity – Stay protected and connected, even if the phone line is cut, the Internet is disconnected, or the power goes out. Severe Weather Alerts – Get advance notification of threatening tornadoes, tsunamis, or fires. Customize Your System – Create individual user access codes, set-up email, text, or image alerts to see who is coming or going, and more. 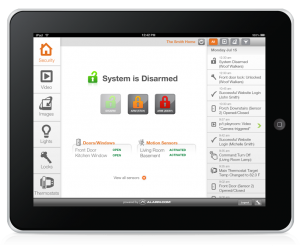 Remote Control – Arm or disarm your system, control lights, locks, and thermostats no matter where you are. Lights and Thermostat Control – Set schedules to regulate lights, locks, and thermostats to match your lifestyle and activity. 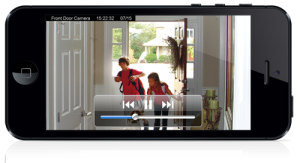 Keyless Entry – Lock and unlock doors and garage doors through the free mobile app and leave your keys behind. As an employer you may need to investigate employee claims of discrimination, sexual harassment, violence in the workplace, or other prohibited conduct. An employee claim of harassment, workplace violence, or other improper conduct represents an unwanted disruption to your company’s business. Our friendly and experienced representatives can develop the right video surveillance and access control systems to protect your business. With fully customizable solutions to fit any size project, Schmidt Security Pro is there each step of the way. For many senior citizens, there comes a time when emergency assistance is needed in their home. An Emergency Response System (ERS) uses the latest technology to provide an easy and affordable way for seniors to get help when they live alone.